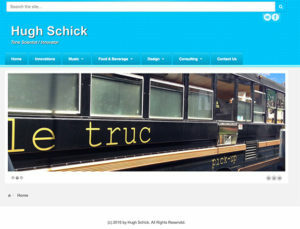 These sites were done to the clients’ specifications. These websites are built on the WordPress platform. They are all “responsive” meaning that they are mobile-friendly and will display properly on any size screen on any device. 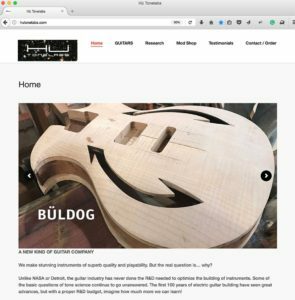 I made this website to attract search traffic on keywords that pertain to the topics that I write about. The pages are written and curated to appeal to the two audiences of any website, which are the humans on the one hand and the search engines on the other. Several of my pages are getting top Google search results because the text and graphic content (for the humans) as well as the meta data (for the search engine robots) are all optimized to produce the best search results. For example, I translate Italian literature into modern English and several pages on this site under the Italian tab contain translations of mine. If you Google search these two words, “Machiavelli Belfagor” (the author and title of a translated work), my page with my translation appears at the very top of the search results, even above Wikipedia on a good day. This is also the case for several other pages on this site. Search results like these are achievable when the web pages are written and set up the right way, and this is an important part of the service I perform for my clients. This website is for a professor of History who wishes to make his academic work accessible to the general public, directly from his own platform. It is built out and being filled with content as of now. 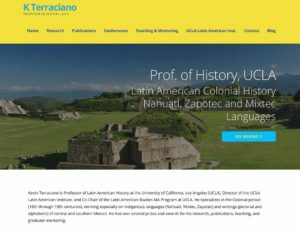 This site will become a magnet for search traffic on all of the keywords which refer to his work, in Latin American Colonial History and the languages and cultures of the Aztec, Zapotec and Mixtec people. The goal for the site is to have the information and SEO indexing which will put it at the top of the search results delivered to anyone looking for information about any part of his wide range of research, teaching and publications. 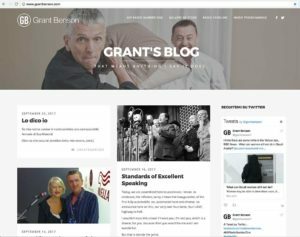 A website for a high profile radio personality in Italy, Grant Benson. 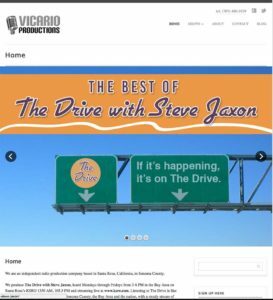 The site is mostly in Italian and contains news about the radio station where he currently appears, about his involvement in Radio Caroline in the UK (which was once a famous pirate radio station, now broadcasting legally) and his other work. 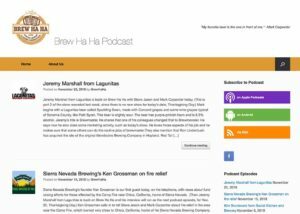 Here is the podcast audio player, embedded on this page. 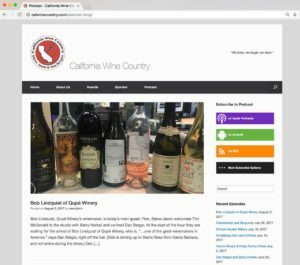 We use this tool to embed episodes on the websites belonging to the people and wineries that appear on California Wine Country, to attract new listeners and subscribers. Here is the episode of August 30, 2017, a live remote show, recorded at the Pinot Noir tasting organized by the show’s sponsor. I am eager to hear what you think of anything on my site. cdimatteo, © Chris DiMatteo 2019 All Rights Reserved.